iPhone X first impressions and reviews were published today. Some reviewers have had Apple’s latest iOS device for about a week, while others have had it less than 24 hours. Here’s our roundup of the most interesting insights from what has been published so far. The steel frame on the black model is specially treated to match the glossiness of the back panel, so that the device appears uniformly shiny and black on all sides. 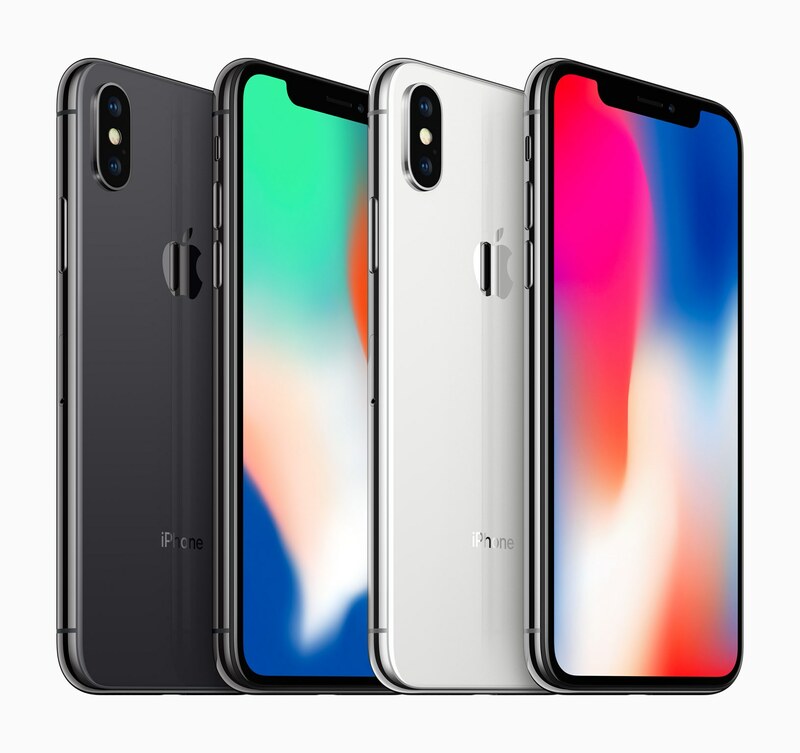 However, probably the most-discussed aspect of the new iPhone X hardware is the new Super Retina Display, which along with the iPhone 8 and 8 Plus supports True Tone color technology. Apple’s using a Samsung-manufactured OLED panel with a PenTile pixel layout on the iPhone X, but it’s insistent that it was custom engineered and designed in-house. Whatever the case, the results are excellent: the iPhone X OLED is bright, sharp, vibrant without verging into parody, and generally a constant pleasure to look at. Apple’s True Tone system automatically adjusts color temperature to ambient light, photos are displayed in a wider color gamut, and there’s even Dolby Vision HDR support, so iTunes movies mastered in HDR play with higher brightness and dynamic range. “In order to enable the edge-to-edge design we wanted, it could not be a typical OLED, had to be a flexible OLED to be able to go top to bottom and side-to-side,” said [Senior Vice President of Hardware Engineering Dan] Riccio. As stunning as the iPhone X’s screen is, multiple reviewers note that there is also some slight color shifting when the screen is viewed at acute angles. Off-angle, Apple has done a good job preventing red shift but not so much blue. It's cool and it's uniform rather than splotching in from the corner. But it's there. Most reviewers don’t seem bothered by the notch in the iPhone X’s screen that houses the front-facing camera and a multitude of sensors. And beyond “dealing with it” I can tell you that as one of a few people outside of Apple to have used it for more than a day — you stop noticing it very, very quickly. It’s a part of the display, the areas to the sides are or aren’t used and that’s it. I haven’t found the notch to be a blight on the phone, by any means—in some ways, having those Batman ears poke out of the top of the screen around the notch sends the signal that the screen simply can’t be contained, that Apple would rather cover every possible area with screen. The iPhone’s Home button along with the forehead and chin defined the modern smartphone for many people. Only time will tell, but by embracing the notch, Apple may succeed in redefining the iconic representation of the next generation of smartphones. I really like the new force-press to activate the camera on the home screen. It feels much more definitive than the fumbly “swipe from right to left” that could go awry on a notification or not trigger because you didn’t quite hit the edge. The biggest problem people will have with it is that it requires attention. You really have to look at your phone to unlock it. Not think you're looking at it. Not kind of look at it. Mashable and BuzzFeed also managed to trick Face ID with sets of identical twins. In my tests, the iPhone X lasts a day with some juice left over — but not enough to go for two days, so you’ll need to charge it overnight. TechCrunch reported similar results after Matthew Panzarino spent a full day at Disneyland using the iPhone X.
Dispensing with the Home button means that users will need to learn a whole new gesture vocabulary for accomplishing everything from returning to the Home screen, to entering multitasking mode and invoking Siri. It will take some time to retrain years of muscle memory. For Matthew Panzarino, the tipping point came at around day five with the iPhone X. Look at iPhone X and private notifications expand, ringers and alarms dim discretely because it knows you're aware of them, and the screen stays lit because it knows you're reading it. The hardware of the new iPhone X is striking, but what’s more interesting are the glimpses reviewers have had at how the iPhone X will change the way we interact with it. Truly understanding those changes will take more time than reviewers have had with the iPhone X so far, but I expect we'll get a fuller understanding of those changes after the iPhone X ships on Friday.